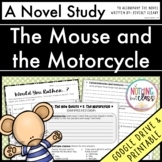 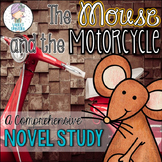 The Mouse and the Motorcycle by Beverly Cleary: A Complete Novel Study! 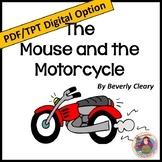 This is a test for the Mouse and the Motorcycle. 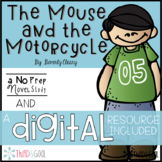 There is character matching, multiple-choice, and short answer questions. 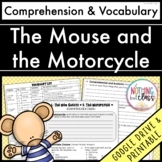 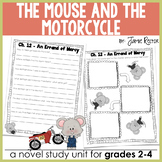 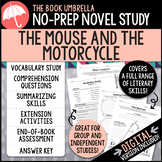 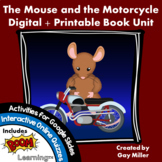 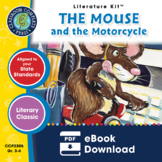 This document provides guidelines for students to create a cinquain poem about one of the characters in The Mouse and the Motorcycle. 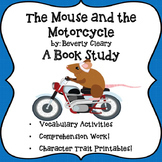 An example of a character cinquain poem and clear directions are given.